Ideal for the beach, future promotional events or even a trip to the grocery store, this Custom Imprinted Zippered Organizer Tote is the bag you want. It has several compartments that will store everything you need to get the job done. Add even more value to it and personalize it. Use it as a fantastic promotional giveaway or gift. 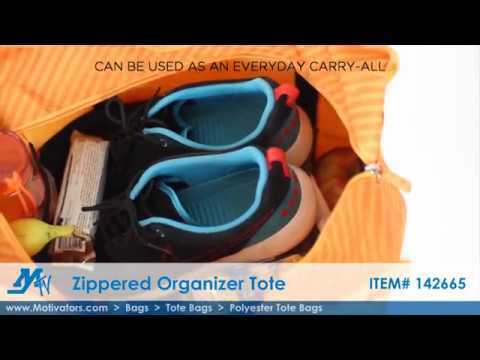 Either way, this Zippered Organizer Tote is one beautiful and useful bag.